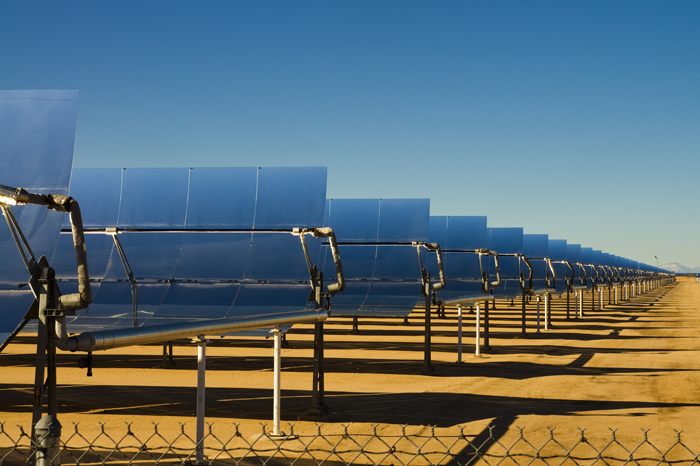 Concentrating solar power (CSP) systems are generally used for large scale facilities or power plants. There are three different types of concentrating solar power systems: linear concentrator, dish/engine, and power tower. In each system, the sun’s energy is collected and concentrated and directed towards water or another fluid that, when heated, in turn powers a generator or directly creates mechanical power. Currently, no CSP systems are installed in Wyoming. Installations are concentrated in areas with a greater solar resource (see Concentrating Solar Resource map), such as the southwestern US.